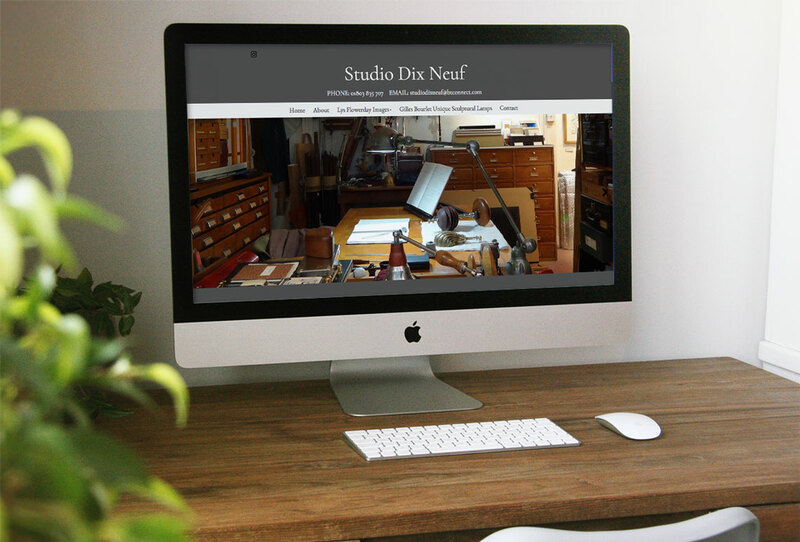 Studio Dix Neuf opened in 2008 and shows the work of artists Lys Flowerday and Gilles Bourlet. This gallery-atelier celebrates a handmade aesthetic and offers a timeless interior for an interplay of pictures and sculptural lamps. "For a business the size of Studio Dix Neuf, we greatly appreciated Rob's words "Big enough to deliver yet small enough to care". We are very satisfied with our new website designed by Antiques Web Design by Ph9 because it reflects who we are and what we do. From the first point of telephone contact and initial conversation to the careful, patient and courteous training sessions with Sharlotte, who efficiently demonstrated options and quickly followed up with changes we requested and answers to queries, en passant by James with very helpful technical explanations, right up to a slight adjustment requiring a support ticket just after going live, we experienced excellent service from Antiques Web Design by Ph9. The attentive and personal service is that of a small group of hardworking and open-minded professionals evidently concerned with high quality. We chose an off-the-shelf template, which we discovered could be adapted as we desired. It is easy to use and the tools to visualize are perfect for showing the work of artists online. The newsletter tips which also appear regularly on the website (such as photography tips and explanations of social media and jargon), details of other training programmes and information on fairs are all very helpful indeed. They also indicate a genuine concern to look after clients long term. In addition to Antique dealers and Interior designers, we would fully recommend (and have done) Antiques Web design by Ph9 to artists, fine craftspeople and decorative artists, also to specialised independent retailers with an individual character who desire to stand out from the rest. Our online presence has vastly improved and we have received compliments on our new website from many of our existing client base."